Solve your questions about Barcelona preguntando a los miembros de la Comunidad Eluleka. We are going to be in Barcelona for 5 days, expect to go to most of the Gaudi sites, Picasso Museum, Miro Foundation, maybe the Maritime and/or Chocolate Museums. 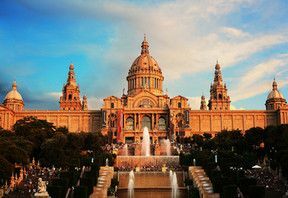 Wondering if we should be getting the Barcelona card--what is the best way to miss lines for the museums? Share your reviews on Barcelona with the Eluleka Community members.